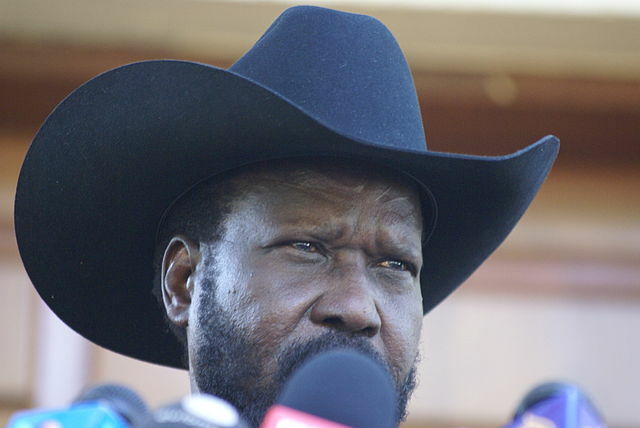 South Sudan’s parliament has extended President Salva Kiir’s mandate until 2021 in the war-torn country. MPs voted on Thursday to pass a bill extending the president’s rule by a further three years – a move that’s expected to deal a blow to the country’s struggling peace process. Lawmakers unanimously voted in favour of the bill which must now be passed into law by the president himself. “The transitional constitution amendment bill number five for the year 2018 is hereby passed by the national legislature,” Speaker Anthony Lino Makana announced after lawmakers unanimously voted in favour of the bill on Thursday. The extension of Kiir’s mandate raised further questions of South Sudan’s struggling peace process, which has failed to bring an end to the country’s civil war despite numerous peace deals and ceasefires. The nation’s leading rebel group demands that Kiir steps down as part of any peace deal but the president has repeatedly said it makes no sense for him to sign a deal that brings his leadership to an end. While key members of the government argue the extension is necessary to protect its position during the reshuffle of power being negotiated during peace talks, which would likely see the country’s largest opposition group enjoy more influence at the expense of the government.